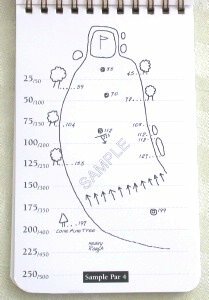 The faint grid lines (with yardages) make it very easy to put all the element of the hole in at the precise yardage. There are step by step directions on how to easily draw each hole. No artistic talent is necessary.